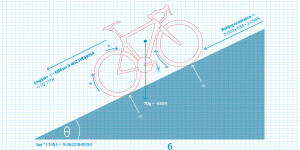 For cycling enthusiasts driving to the final climb of stage 18 of 2013’s Tour de France, a word of warning: when approaching hairpin No.7, roll up your windows and prepare for a rough ride. You and your car are at risk of a good-natured attack from orange-clad Dutch fans who view passing motor vehicles with the same mentality as troupes of safari park monkeys. Beer all over your windscreen, impromptu Euro-pop singalongs in your ear and a good old-fashioned car-rock for any vehicles daring to slow for a better look are all standard treatment for drivers trying to make it up the mountain any time between early evening and the early hours of the morning – and this a day or two before the race is even due to arrive. It’s an injection of harmless fun into what’s sometimes an all-too-serious sport, which we know now has had far too many injections of the wrong kind. The Tour de France has plenty of colour, and on Alpe d’Huez that colour is mainly orange. Despite nestling in the French Alps, it’s known as ‘The Dutch Mountain’ thanks to the number of riders from The Netherlands who conquered its famous 21 hairpin bends to win stages at its summit – eight victories in the 27 times the climb has featured in the Tour. In 2013, the Alpe will feature twice, which means twice the fun. In any normal Tour de France, if you manage to be the first man to the top of Alpe d’Huez, it’s as winner of the most famous stage of them all. But in 2013 the winner won’t be the first to summit the Alpe on 18th July – because the riders will head down the other side to do it all again for a second time. For the 100th edition of the Tour, the organisers felt they had to do something special, and what could be more special than climbing the race’s most iconic mountain twice in the same day? The mountain first appeared on the route in 1952, and on that occasion the rider who made it first to the top for the stage win – Italian legend Fausto Coppi – was also the race winner in Paris. But success on the Alpe is no signifier of success in the Tour. Since 1952, only in 2008 did the winner on Alpe d’Huez – Carlos Sastre – also win the Tour (Lance Armstrong’s 2001 and 2004 wins on the Alpe no longer stand). Will it happen again in 2013? Certainly this will be one of the key climbs on a key stage, and there’s every possibility that it could be the stage that will decide the final standings in Paris. You can expect Chris Froome and Alberto Contador to be keeping a very close eye on each other. The Alpe – a 13.8km climb with the finish line at 1,860m – has an average gradient of 8%, but it’s the fact that it’s the finale of a gruelling stage that gives it its fearsome reputation. The hairpin bends count down from 21 at the bottom, near the town of Le Bourg-d’Oisans, with each corner bearing an Alpe d’Huez stage winner’s name – some doubling up thanks to the mountain having been used 27 times. Its inclusion in 1952 was as a marketing ploy to bring tourism to the village of Huez outside of the ski season, but the benefits were short-lived as it didn’t appear again until 1976 when Joop Zoetemelk began the run of Dutch wins. It then featured every year until 1984, bar 1980. The climb’s most memorable moment came during the 1986 Tour, when La Vie Claire team-mates Greg LeMond and defending champion Bernard Hinault battled it out for glory. The deal the two had struck was that after LeMond had helped Hinault gain his fifth Tour title in 1985, the Frenchman was to help the American win his first title at the 1986 edition. However, Hinault clearly saw the Alpe as an opportunity to go for a sixth title, and to hell with any supposed deal. LeMond, wearing the yellow jersey of race leader, stuck close to the older rider, and when it became clear that he couldn’t shed the American, Hinault told LeMond he wanted to win the stage, effectively conceding overall victory. The pair crossed the line hand-in-hand, more than five minutes ahead of the chasers, and Hinault ensured he pressed his wheel slightly ahead on the line to be awarded the stage victory. in camper vans – and choices of fancy dress. While the drunken antics of ‘Dutch Corner’ can be avoided or embraced depending on your mood (hairpin No.7 is chosen due to its proximity to the Notre-Dame des Neiges church, which was presided over by a Dutch priest, Father Jaap Reuten, between 1964 and 1992), there are plenty more conventionally friendly orange-clad Dutch fans with which to share a more sedate glass of wine and a chat with along the length of the climb’s near 14 kilometres. The Danes, too, are noticeable for their flag-waving and face-painting, and plenty of them are happy to share their beer supply. 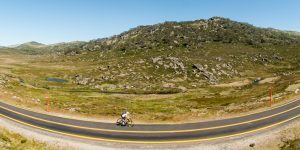 Increasingly, Brits and Aussies have also got in on the act, and will flock in their thousands to the slopes in the Tour’s third week to watch Froome and Evans battle it out, either against other teams or each other, on the stage that starts in Gap. The last time the Alpe d’Huez stage started in Gap, in 1991, Italian champion Gianni Bugno got the better of Miguel Indurain and Luc Leblanc to win for the second consecutive year on the Alpe. Since then, there have been four more Italian victories there, making seven in total. One more and ‘The Dutch Mountain’ is going to have to start thinking about a name-change. The year after Bugno’s second win, 1992, saw the Alpe’s first American winner, Andy Hampsten – still the climb’s only US winner following Lance Armstrong’s disqualification despite ‘winning’ there in 2001 and 2004. Hampsten retired in 1996 after 12 seasons as a pro – a career that included the Giro d’Italia title in 1988, two Tour of Switzerland wins and overall victory at the Tour of Romandy. Coming into the twilight of his career in 1992, having won the white jersey for best young rider back at the 1986 Tour, Hampsten started the race with thoughts of victory on the Alpe on his mind. ‘The Alpe d’Huez stage was the most important stage for me. I was always trying to win the overall at the Tour, but never came close,’ Hampsten says humbly (he twice finished fourth, in 1986 and 1992). ‘But as a secondary goal in every Tour I did, a stage win would be great, and among my peers the Alpe d’Huez stage was always the most prestigious of all. Hampsten dropped his rivals and won by 1min 17secs. Despite Hampsten’s modesty, winning alone on Alpe d’Huez is an extraordinary feat; the Alpe is very much considered the ‘unofficial world championships’ for climbers – much as the final stage on the Champs-Elysées is the equivalent for sprinters. As well as its colour and heritage, Alpe d’Huez also has its darker side. It was on the Alpe in 1978 that Belgium’s Michel Pollentier won stage 16 and took the race lead, only for the doctors conducting the subsequent doping control to discover that Pollentier was using a pouch of someone else’s urine, attached to a tube, to avoid a positive test. Renowned doper Marco Pantani also left his imprint on the famous mountain. ‘All the great riders have made their mark at Alpe d’Huez,’ Pantani boasted after his first stage win there in 1995, and he wasn’t wrong. Three years later, he’d win the Tour. In 2004, he’d be dead – the victim of a cocaine overdose, ‘greatness’ apparently too big a noose around his neck. In 2004, German powerhouse Jens Voigt was the victim of a sustained volley of verbal abuse from German fans during the spectacular time-trial up the mountain on stage 16, which started in Le Bourg-d’Oisans. CSC squad rider Voigt had ridden hard to pull back compatriot Jan Ullrich of T-Mobile for his team leader Ivan Basso – an Italian – on the previous day’s stage. The German fans didn’t like that at all, and the language used was venomous: ‘Judas’ was one of the more printable insults shouted at him. Voigt is still upset by the abuse, but defended himself at the time by reminding fans that he was just doing his job, and that he’d worked for Ullrich all day on the national team at the 2000 Olympic road race, which Ullrich won. the climb creaking under the weight. There have been some moments of madness, too, bordering on the comical – although try telling Giuseppe Guerini that and see if he laughs. The Italian, riding for Ullrich’s German Telekom team, broke away and looked set for a comfortable solo victory during the 1999 Tour. With Guerini less than a kilometre from the finish, a German fan called Eric decided the time was right to step into the road to take a photo of the stage leader. Through the lens, Eric obviously couldn’t estimate just how close Guerini was to him, and he failed to step aside at the last second. Guerini rode straight into Eric and the two ended up in a heap on the asphalt. The mortified Eric helped Guerini up, and pushed him on his way again as the abuse of other fans rained down on him. Luckily, Guerini held on to take the stage win by 19 seconds, and in a nice ending – rather than one mired in anger and embarrassment – Eric sought out the Team Telekom hotel so that he could say sorry in person to Guerini, who happily accepted the apology having won the stage. It’s this mix of tragedy and triumph, of fantastic feats and failures, which makes such climbs legendary. There will be more stories made on the Alpe in 2013, only this time, with two ascents in one day, the tales could be twice as good.